Designing, fabricating, and assembling Automated Test Equipment (ATE)/Load boards is a specialized industry requiring an experienced team in all areas of planning, engineering, production, and quality. Many suppliers may claim an ability to produce this type of product, but in reality, most are unprepared for the complex designs and the special process requirements needed to successfully build these boards. Selecting the right partner for processing ATE products is a key to successful execution of your projects. Not everyone can design a load board, they must have experience and in-depth knowledge of the industry and product; the same goes for the fabrication and assembly of these boards. For example, designers with vast experience with telecom products might have extensive experience, but it may not transfer for a board intended for a pacemaker. Likewise, a manufacturer of cellphone PCBA may not have the required tools for the assembly of load boards. When vetting your Contract Manufacturer (CM), ask for apples to apples examples of their work. Be very clear about your expectations,and request examples illustrating that they can accommodate the details of your project and timeline. Typically, you supply a large amount of documentation for a project once you choose a CM, but during initial conversations, be sure to share key details of your project to choose the right CM for the right project. 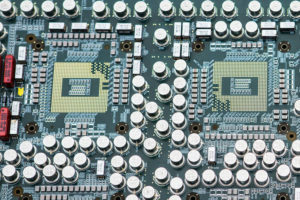 Load boards used in the semiconductor chip testing process on ATE are heavy, large, and thick boards with an average layer count of over 40 layers and include complex packages with high component counts. The design of load boards is a complex process in which the scope of the design is comprehensive, but with many process limitations. 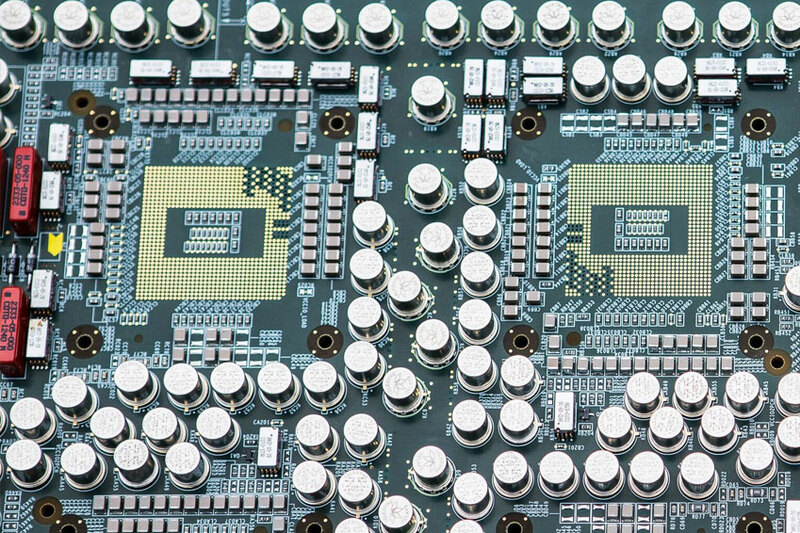 Due to the multitude of challenges, the design engineers often end up compromising Design for Manufacturing (DFM) rules for both Printed Circuit Board (PCB) fabrication and assembly in order to achieve their desired end results. If not addressed prior to fabrication, DFM compliance issues can result in boards that need rework, fail testing, don’t function properly in the end product, or require a design change. Ultimately, DFM rules compromised by the designer may mean an unavoidable delay in the manufacturing process and the overall schedule. Too often these errors are not discovered until fabrication, assembly, or testing, at which point, time must be added for rework or even re-design. While it’s impossible to plan for every set back, by inquiring about your CM’s experience with manufacturing load boards, addressing design challenges, and how they minimize the impact of a potential error, you will have a better understanding of their comfort level with your project. Each CM is different, and there is a clear difference between a reactive and proactive error resolution workflow. Asking questions to vet your next CM can make the difference between a high quality, successful product or DOA boards. CMs committed to their customers will be happy to answer your questions and ensure that their partnership with you will be a productive one. Shahab Jafri is the President and CEO of Streamline Electronics Manufacturing, Inc. (SEM). SEM has been building load boards for the largest leaders in the industry for over 10 years and has been a reliable CM in the Silicon Valley for more than 23 years. SEM’s team processes hundreds of load boards per month on one, two, and three day turns, while maintaining superb quality and reliability of all products. Shahab is the key innovator at SEM in the area of process development and quality management, and in this role regularly evaluates the equipment, personnel and software used to achieve the most efficient, cost effective, high yield outcomes for SEM’s clients.